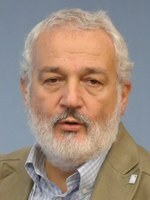 Italo Vignoli is one of the founders and a member of the Board of Directors of The Document Foundation, with responsibility for marketing and communication. He is also an international spokesman for the project. From September 2004 to the end of 2010 he has been a member of the OpenOffice.org marketing project. He is a member of Assoli, the Italian association of Free Software advocates. Professionally, is a communications consultant with thirty years of experience in the field of high technologies. He is a member of Ferpi, the Italian Association of Public Relation Professionals, and a visiting professor of high tech marketing, public speaking and public relations in universities and post-graduate courses. Italo Vignoli has a Degree in Humanities at the University of Milan, and three Master Degrees in Marketing, Public Relations and Journalism at different US and Italian universities. He is predestined in the world of high technologies, as he was born on August 12, 1954, the same day of the launch of the IBM PC (although 27 years in advance...).